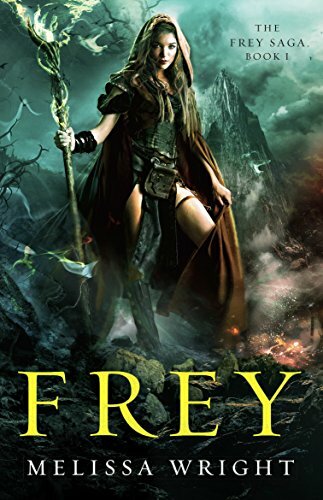 Frey is an elf whose magic doesn’t work like the other elves – in fact it doesn’t work at all. Then one day, in a fit of anger her magic blossoms in a frightening way, leading her to begin questioning her origins and the holes in her memory. The council finds out about the release of her magic and she runs for her life. As she escapes, with the help of strangers who become friends, she slowly uncovers some of her past and the secret behind her dark magic. This book is intricately written to show and allow the reader to feel Frey’s confusion over her past and the fog that’s in her brain that slowly begins to lift. The beginning seems to be the typical teenage angst story of not fitting in, but it is so much more than this. Frey must learn who she is, what has happened to her, and how to safely wield the magic that has long been denied to her. Of course, all good questers need companions and Frey gains these along the way. Is Chevelle an agent of the High Council tracking her to kill her? Or is he a friend? And if only Ruby quit hitting her with fairy dust and making her drunk!